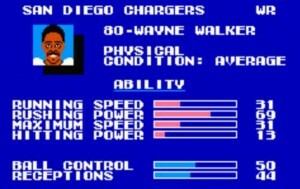 Fleet wide receiver Wayne Walker was a free agent pick up from Texas Tech by the San Diego Chargers in 1989. At only 5-8, 162, Walker was nicknamed “bug” by his teammates. He hauled in 24 receptions for 395 yards and a touchdown his rookie season. Wayne’s yards per catch were a strong 16.5 average and he’d put in some time returning punts as well. In 1992 Wayne would resurface with the San Antonio Riders of the WLAF. He would finish #3 on the team in receptions (26) and yards (294), which was pretty decent considering the team was a ground based offense. 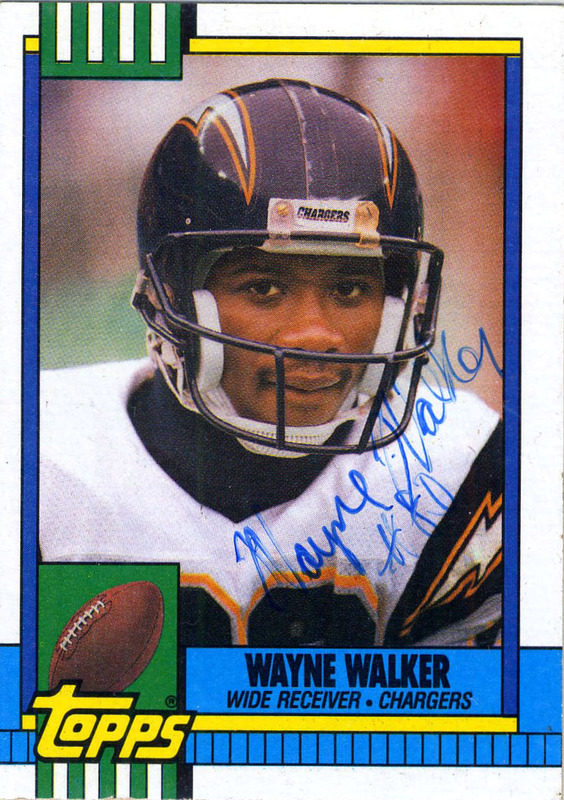 In 1997 Wayne would sign with the Tampa Bay Storm of the Arena League where he’d play for 3 seasons grabbing 84 receptions for 1307 yards and 19 touchdowns. He’d double as a backup return man as well for them during this period and then retire outside of Waco.